Dear customers! We are glad to bring the new version Handy Backup - 7.13! The new version contains the completely renewed WebDAV Backup plug-in for connecting to different cloud services via the WebDAV data transferring protocol. This renewed plug-in utilizes now the advanced, modern Neon library for connecting and operating with clouds via WebDAV. Another principal feature of Handy Backup 7.13 is an internal browser window, dedicated for creating connections with Web resources and governing these resources just from the program. 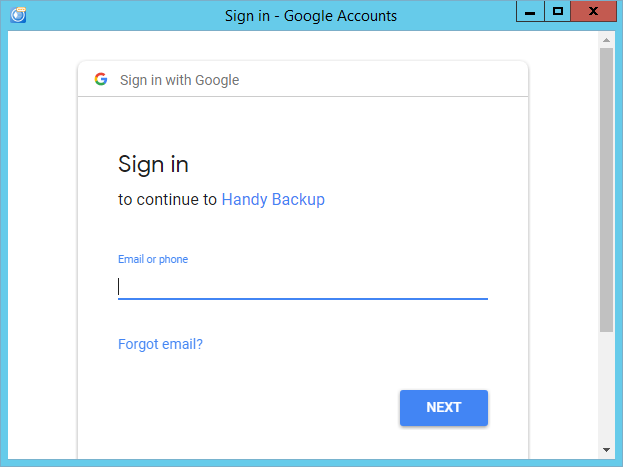 Since this version 7.13, Handy Backup will provide you an internal browser instead of using some external software when you need to connect with some Web-based resource (such as backup a cloud server or a Web email service). The modernized "WebDAV" plug-in utilizes the Neon library instead of WinAPI-based architecture of previous versions. This new implementation brings many options to a user, such as connecting to clouds via unprotected "http" connection among with the traditional "https" protected method, and using more WebDAV configurations for home-based or private clouds than earlier. The main goal of the renewed plug-in is to give users more flexible options for establishing and keeping WebDAV connections with particular cloud configurations. Learm more about WebDAV Backup Software.